Teng Li Viola | New Concert Series for Trio Arkel! New Concert Series for Trio Arkel! 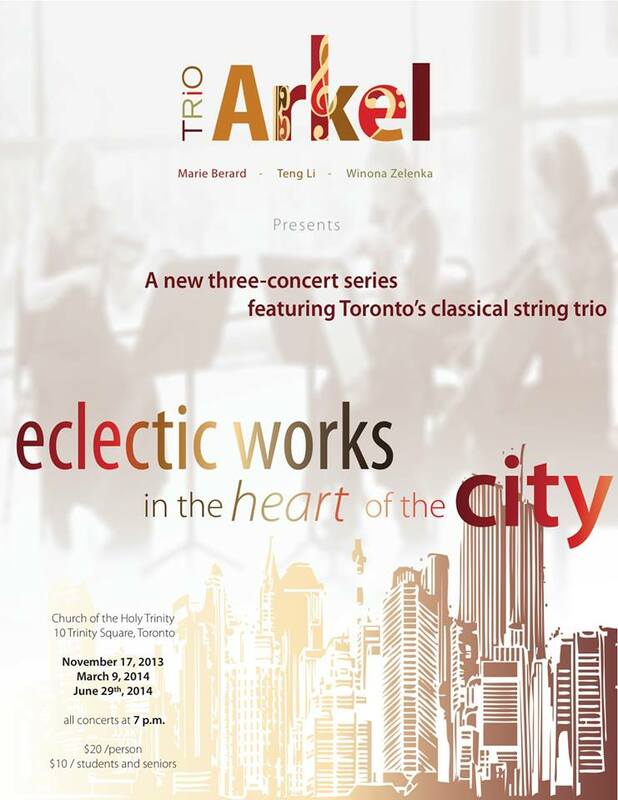 Trio Arkel (members are Marie Berard, Teng Li and Winona Zelenka) have started a concert series. The concerts for the 2013/14 season will be November 17, March 9 and June 29. Tickets area available for purchase below. Tickets are $20/adults & $10 students & seniors. The venue is the Church of the Holy Trinity (10 Trinity Square, Toronto – NEXT TO EATON CENTRE conveniently right downtown | MAP IT).